We currently have 49 bunnies ready for adoption at our Adoption Center. All our available bunnies are listed here on our web site for you to browse. There are several ways you can meet our bunnies. Come to the Adoption Center. This is really your best option. Our bunnies get adopted FAST, especially if you are looking for a particular breed. If you call or email us, chances are the rabbit you want will be gone by the time you come to get him! If you are interested in adopting one of our rabbits, please fill out our adoption application form and fax it to our adoption center. We will contact you as soon as possible after we receive your application. You can click on the button below to see all our available bunnies. Rabbit Rescue has partnered with pet stores to make it easier for you to adopt a rabbit. You can visit some of our bunnies at pet stores around the Los Angeles and San Francisco metro areas. Our scheduled adoption days at area pet stores are listed below. 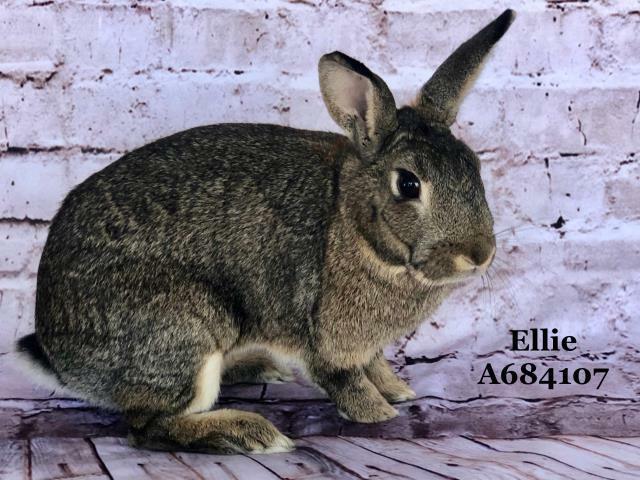 Adoption days include rabbits available for adoption, as well as information, nail clippings, and more. Call our Hopline: 562.862.8844 to find out what rabbit is at this local store! Visit our resident bunnies any time that's convenient for you.